To sign up as a volunteer, please CLICK HERE! 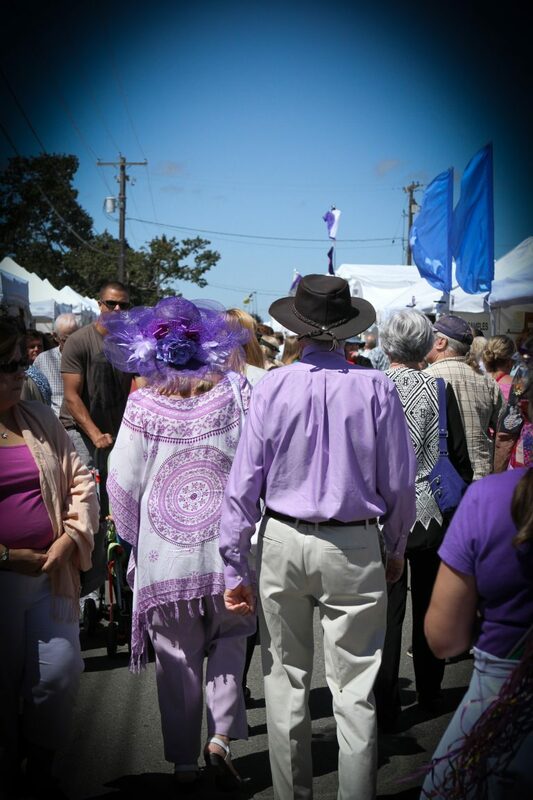 The Sequim Lavender Festival® celebrates its 22nd year in the heart of Sequim during the weekend of July 20th to 22nd. Solely produced and managed by the member-growers of the Sequim Lavender Growers Association ™, the Sequim Lavender Festival® will include activities and attractions to delight visitors of all ages. Our famous LavenderStock will take place at the James Center main stage and will feature opening ceremonies on Friday and live music and entertainment all 3 days. Bring your dancing shoes on Saturday night when we will host a “Street” Dance at the James Center from 7:00pm – 9:00pm featuring Black Diamond Junction. CLICK HERE to see the full lineup! Our Food Court should not be missed! A wonderful array of food is available to our visiting foodies. Don’t miss the BBQ, fish and chips, 6 flavors of lavender ice cream, street tacos, Greek and Thai food, coffee, donuts, kettle corn, elephant ears and more. There are several returning favorites and a couple of new things to try! CLICK HERE to see all the amazing food to choose from. 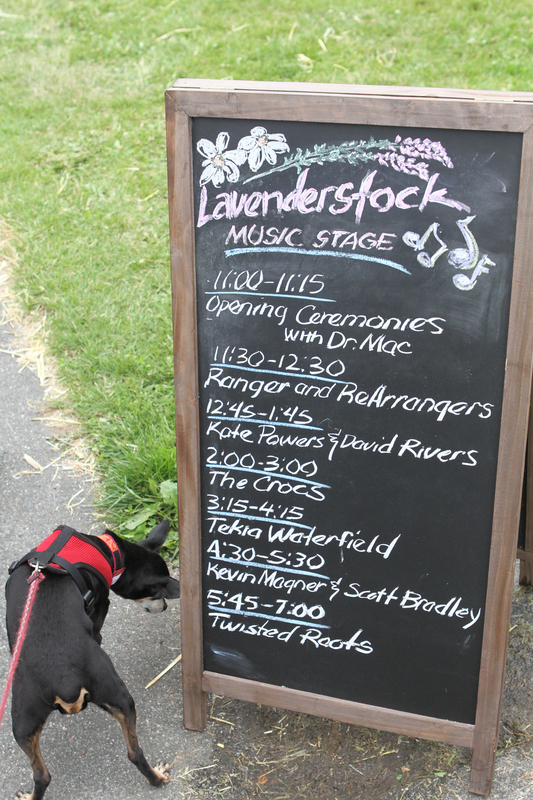 The Sequim Lavender Festival in the park is pet friendly. Pets must be on leash (we’re in the city limits) and picked up after. There is an enclosed dog park in Carrie Blake Park, and we’ll have a doggy rest area in the shade. Several vendors cater to pets. Some of our farms are also pet friendly, check out this webpage for more info – CLICK HERE. The FREE Self-Guided Farm Tours will be held from 10 a.m. to 5:30 p.m., during all three Festival days when eight farms and one commercial nursery, are open to the public. Farms include: Blackberry Forest, Graysmarsh Berry & Lavender Farm, Nelson’s Duck Pond & Lavender Farm, Kitty B’s Lavender Farm, Meli’s Lavender, Earth Muffin Lavender, Troll Haven and Peninsula Nursery. Please pick up a Sequim Lavender Festival® map at any farm or the park for locations of these FREE farms, or download one off our website. Drive at your own leisure and pack a lunch to enjoy a full day of relaxation and lavender. New this year, a “Celebrity” Photo Booth and a Lavender Scavenger Hunt! **** New Park MAP coming soon…. The Final Park Layout will be published by the end of June. CLICK HERE to see a Google Earth Map of the surrounding area. More information on parking coming soon. We love our Lavender Sponsors and Buds! Your donations, contributions and support help make this possible – and there are huge marketing benefits to you! If you would like to be a sponsor or a Lavender Bud with the Sequim Lavender Festival – please send us a note through the CONTACT US page. Welcome thousands of visitors from around the world on behalf of Sequim and Lavender! Opportunity to support your community, make new friends and meet lots of wonderful people! Attendance at training is required. CLICK HERE to submit your information and apply. If you are an artist / vendor – please note that the application process is now closed for the 2018 event. We are full and have a wait list. If you want to be added to the wait list in case of cancellations, please send us a note through the CONTACT US page. Full list of 2018 artist vendors coming soon! The Lavenderstock lineup is Complete!! Sorry, but we are no longer accepting bands / acts for the 2018 Lavender Festival. Check out the amazing lineup of talent that will be performing all weekend at the beautiful James Center stage in Carrie Blake Park, right in the middle of the Sequim Lavender Festival. Our Food Court is full! Sorry, we are no longer accepting food court applications. Our Non-Profit list is full. The Sequim Lavender Festival is proud to sponsor a number of local, non-profit organizations with a free booth in the vendor area to promote their cause and / or fund-raise. We are full for 2018, please check back in January for information about our 2019 Festival.